– Citizen of Following States Are NOT Eligible To Apply: Colorado, Georgia, Montana, New Hampshire, Ohio, Virginia, West Virginia, Sacramento, CA. Discount Advances is a professionally managed company that provides payday loans to eligible and employed adults who are short of cash and need a small term loan. It is more than just a website, as this Discount Advances review will show. In the following sections, we look at the loan application process and the applicable fee and interest rate for its loans, apart from other details about the company. Discount Advances has a simple loan application and disbursal process that can be completed online, without requiring any personal interaction. Once you fill in the application form with your personal details, consent to the terms and conditions, and click ok, the company will approve or reject your application within a day, except when you apply on Friday or the weekend, in which case the process gets delayed by a day or two. Therefore, if you apply on Monday, you can get your loan amount in your bank by Tuesday; whereas if you apply on Friday, you will get the loan amount in your bank account by Monday. The company approves the cash advances by 4 pm PST every day. Discount Advances deposits the funds using the Automated Clearing House (ACH) system, which ensures that the funds reach the borrower’s account within a day. To apply for a loan from DiscountAdvances, you need to have a checking account, be above 18 years of age and make more than $1000 a month from your place of employment. Other rules and conditions may also apply. Discount Advances has one of the lowest fee and interest rate among reputed payday loan companies. For a 14-day loan, which is the minimum term available, the borrower has to pay a fee of $17.5, which works out to an Annual Percentage Rate of 583.05%. Every additional day added to the term of the loan adds 1.25% as fee or interest to the loan. Therefore, if you take a $100 loan for 28 days, you have to pay $35 as fee. Additionally, if you become part of their Preferred Member Program, you can get discounts of up to 30%. The site as well as the overall service provided by Discount Advances is very easy to use. Apart from the site, customers can reach the company on phone at the numbers provided on their homepage. When you call them on the phone, one of the company representatives will fill out the form for you on the phone — which can be very helpful if you are having trouble filling the online form. Normally the company does not require the applicants to send any fax documents, but sometimes it may ask some borrowers to submit some documentation to show that they qualify for the loan. Discount Advances ensures the security and privacy of its customers by using the latest methods of online security, including Secure Sockets Layer (SSL). Once you enter your name and initial details on the site, and press ok, the site starts to use the HTTPS protocol, which is the more secure cousin of the HTTP protocol. Whatever information you share with the company online is protected from invasive attacks by the use of secure protocols. DiscountAdvance.com provides live customer service on phone for 24 hours a day and 6 days a week (every day except Sunday.) Not only can you ask the company representatives to help you fill up your application form, you can also ask them to clarify any doubts or questions you may have about their service. The company has more than one toll-free number, which can be called by the borrowers anytime they need a loan from Discount Advances, or whenever they want to talk about their repayment schedule. Apart from the Preferred Member Program, which we have already touched upon, the company has two other programs of interest. One is the Referral Program, under which you can earn a $100 reward for referring a new customer to the site. You can use this program by logging in to your account and entering the email addresses of people you want to refer to the site. 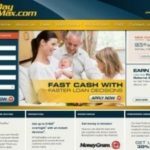 The site will send them an invitation email, and if they end up taking a loan from the site, it will credit your account with $100. Another program is the Affiliate Program, which may be of interest to you if you are a marketer. Under this program you can refer new customers to the site in lieu of a commission. Unlike so many other fly-by-night operators in this business, DiscountAdvances is a professionally run service that lays out the rules, fees and interest rates for its payday loans clearly in its website. It also offers toll free customer service numbers that you can call anytime you need to contact them regarding your loan application or repayments. If you want a payday loan in any crunch situation, and need it in less than 2 days, DiscountAdvances could readily offer the loan that you need.